Hey There ! Let me tell you a little bit about me : My name is Avalon Fay and I am a French singer-songwriter and composer of pop rock music. When writing and composing I find inspiration from diverse themes such as personal growth self-acceptance love as well as nature and environmental conservation. I fell in love with music when I was a child but I never took any music lessons. 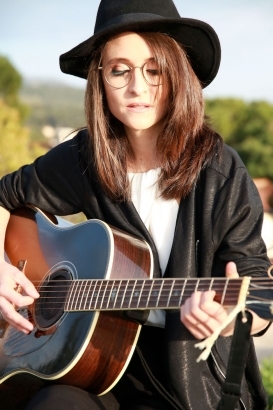 Actually I started writing my first songs and learning to play the guitar at the age of 16. I am a self-taught musician songwriter and composer. In November 2017 at the age of 26 I started recording Polarity my debut EP and it is now available on all digital platforms. Resurgence my debut studio album will be out on November 30th and available everywhere. Music is moonlight in the gloomy night of life J.P Thank you for your interest in my music ! I hope it brings all the emotions your heart needs at this very moment.